We just had a few earthquakes in the Gulf of California (GOC). The results are early, so there is not a moment tensor plotted yet (updated map shows it now). 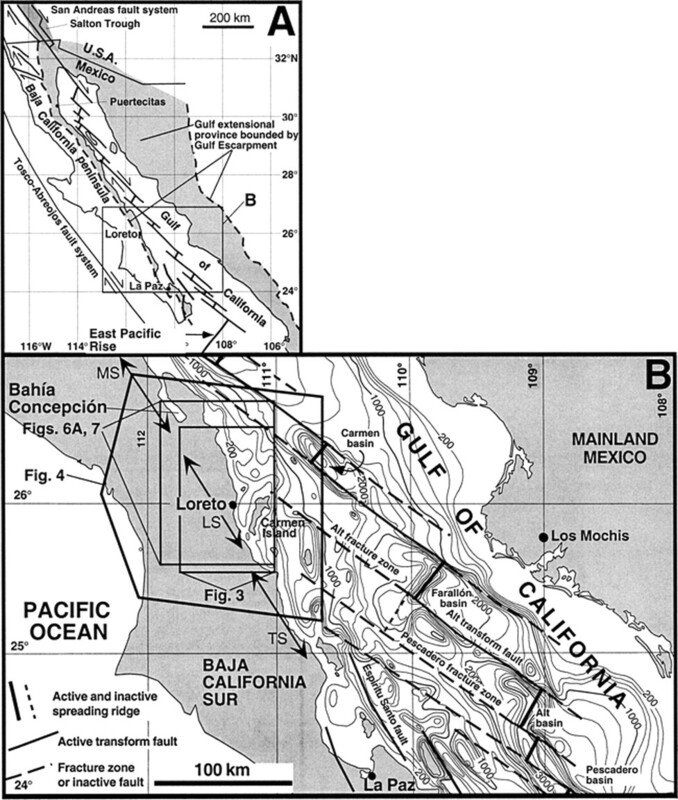 The epicenters plot in the Farallon Baisn. 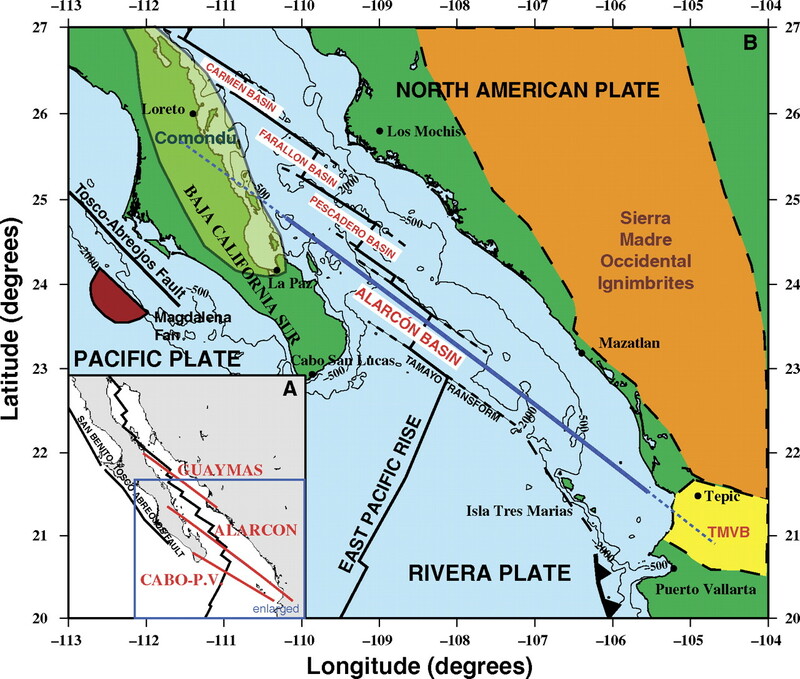 The Gulf of California is caused by rifting at oceanic spreading centers. 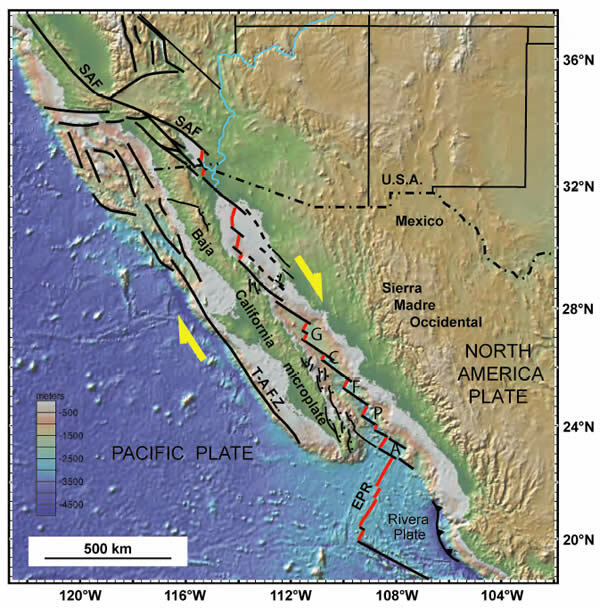 These spreading centers are connected to the southern San Andreas transform plate boundary to the north and the East Pacific Rise Oceanic to the south, with en-echelon strike slip faults and spreading centers. There is probably no tsunami hazard from these earthquakes, but I would not be sleeping on the beach tonight. Here is a quick map showing the location. I also plot the Shaking Intensity (Modified Mercalli Shaking Intensity) contours, as well as the age of the crust, in the inset map in the lower left corner of this map. I placed a moment tensor / focal mechanism legend in the upper right corner of the map. There is more material from the USGS web sites about moment tensors and focal mechanisms (the beach ball symbols). Both moment tensors and focal mechanisms are solutions to seismologic data that reveal two possible interpretations for fault orientation and sense of motion. One must use other information, like the regional tectonics, to interpret which of the two possibilities is more likely. Based on the moment tensor, it appears that this swarm may be aligned along the unnamed fracture zone to the north east, that runs sub-parallel to, the Alt fracture zone. I interpret the M 6.6 earthquake to be a right-lateral strike-slip-oblique earthquake. 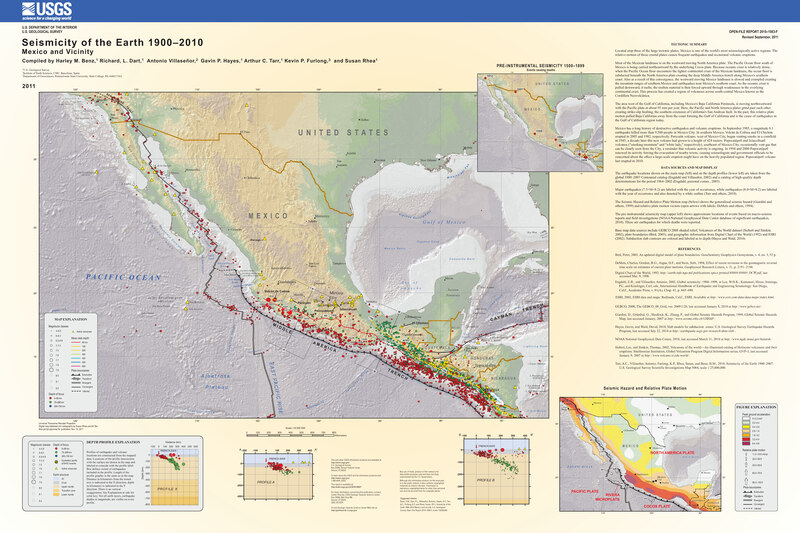 Here are some maps that I found that show various aspects of the southern part of the Gulf of Mexico. 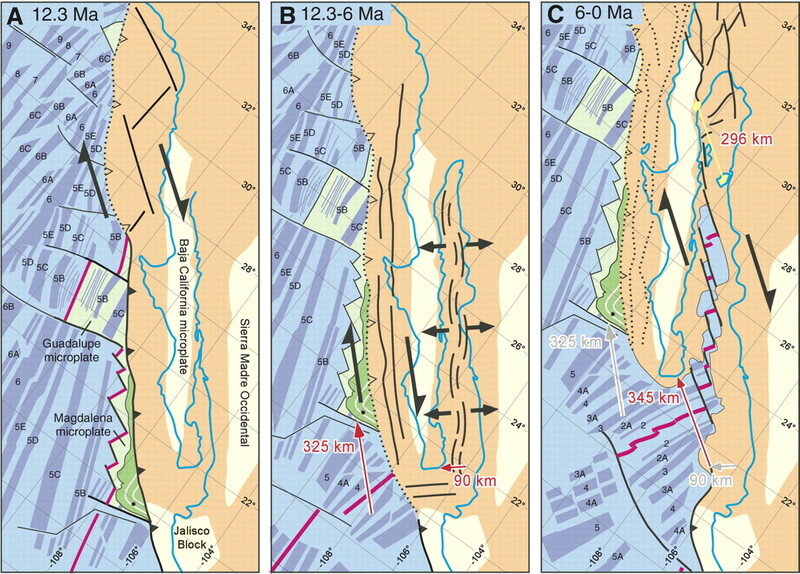 This map shows the broad scale transform/spreading ridge system responsible for the opening up of the GOC over time. 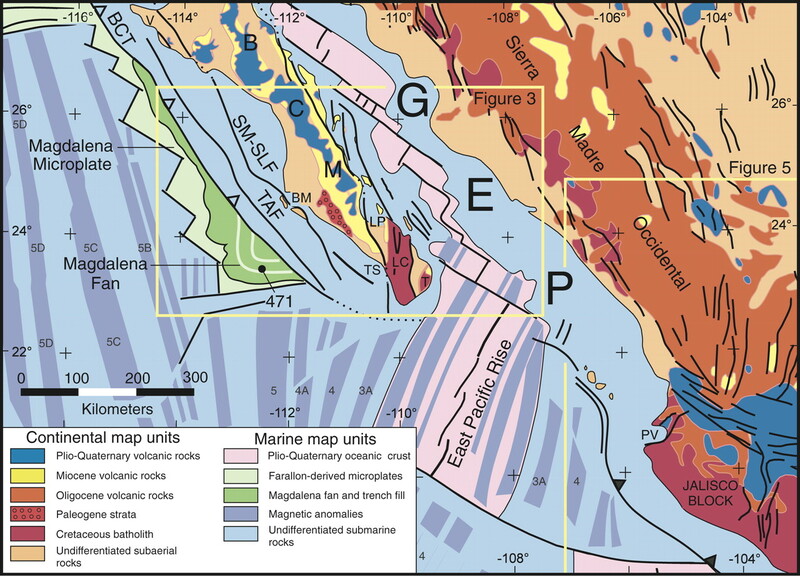 This map shows the basins formed between the transform faults in the GOC. 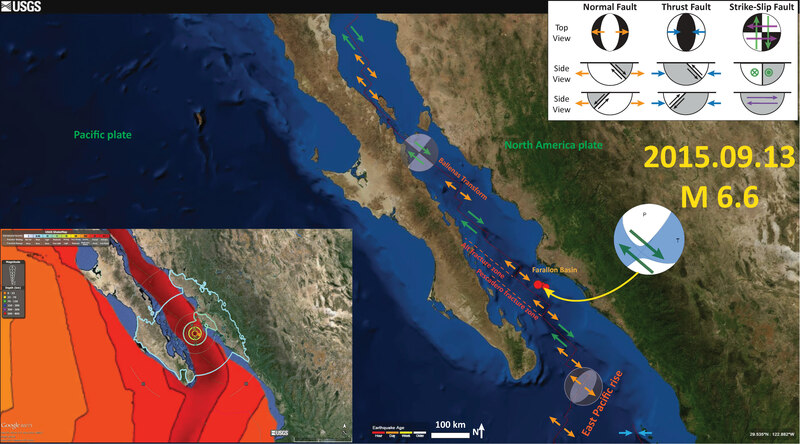 This map shows the transform faults in the region of today’s earthquakes. Earthquake in Papua New Guinea!